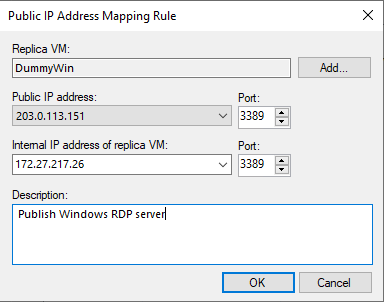 Once all the protected virtual machines have at least one restore point stored into Veeam Cloud Connect, a tenant can use the failover capabilities he subscribed to. In order to complete a full failover, a Failover Plan must be configured. 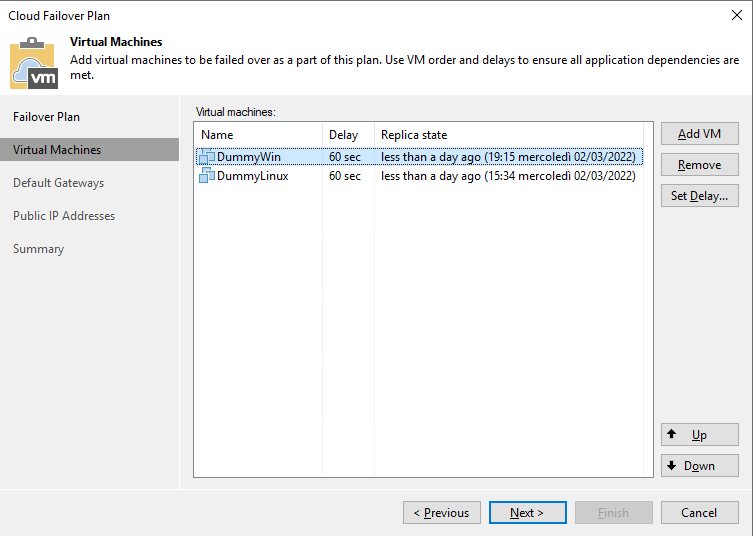 A Failover Plan is a group of virtual machines that Veeam Backup & Replication has to manage as a single entity, following the boot order and delays configured in the plan itself. When it comes to Veeam Cloud Connect, a Cloud Failover Plan has additional options. 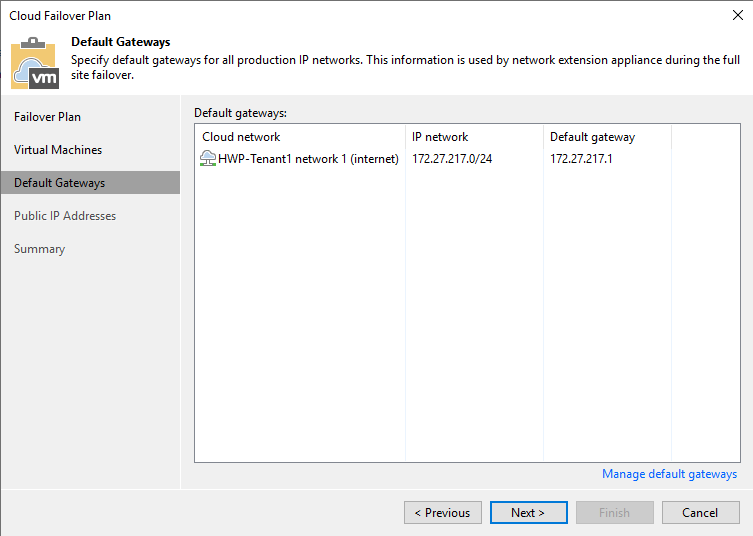 When a full failover is initiated, the network extension appliance at the Service Provider enables the different internal networks and set the configured default gateway&apos;s IP address as its own address. 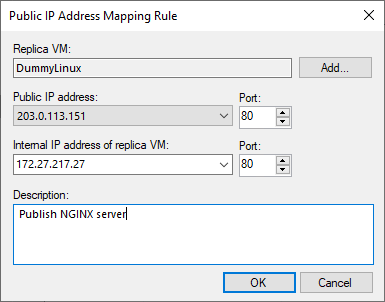 The result is that any virtual machine connected to a cloud network can reach its original gateway IP without changing its original IP address. The NEA is in fact simulating the original gateway of the tenant&apos;s production network. The next step is the configuration of Public IP Addresses. The network extension appliance has one external interface, connected to a network that can usually reach internet. In addition to its primary IP address, a service provider can assign additional IP addresses to be used by tenants to publish services running on the failed over VM&apos;s.
Once the Failover Plan is configured, it is stored directly at the service provider, and what the tenant sees locally is read in real time from the service provider. This is done because, upon a failure, a tenant may lose his entire environment, thus also the Veeam Backup & Replication installation and its configuration like the failover plans. By storing the Failover Plan directly at the service provider, it can be initiated by the service provider or by the tenant (using the Cloud Portal) without the need for a local Veeam installation at the tenant.